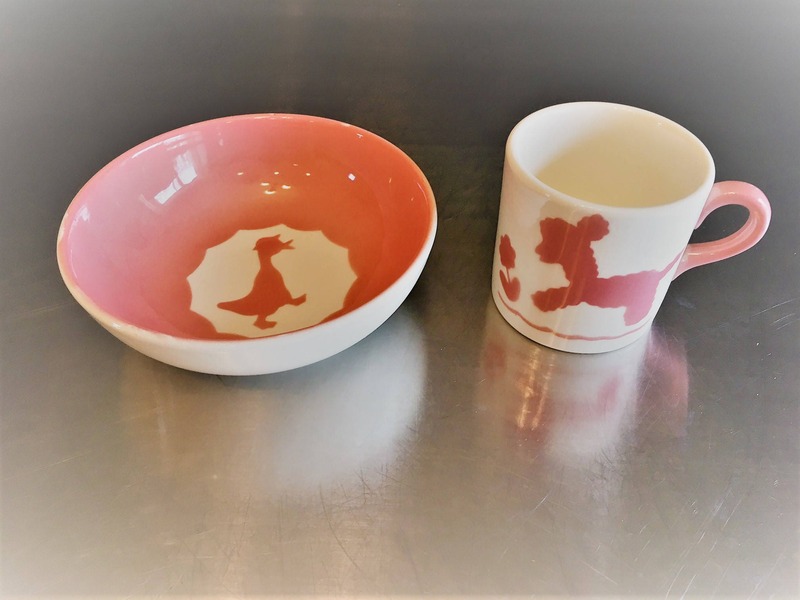 Featured here is a vintage cup and bowl from Continental Kilns. 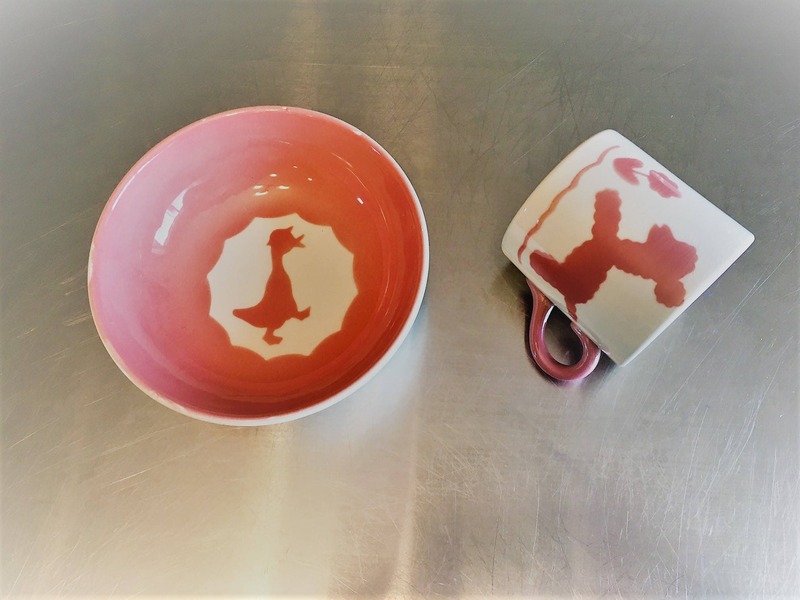 These pieces are from a children's dish set and feature a pretty pink design illustrating a pink lamb and flower on an ivory mug and a pink baby duck on an ivory bowl surrounded by a scalloped pink edge design. It is an adorable collectors set, which has no cracks or chips. Minimal crazing on the mug. 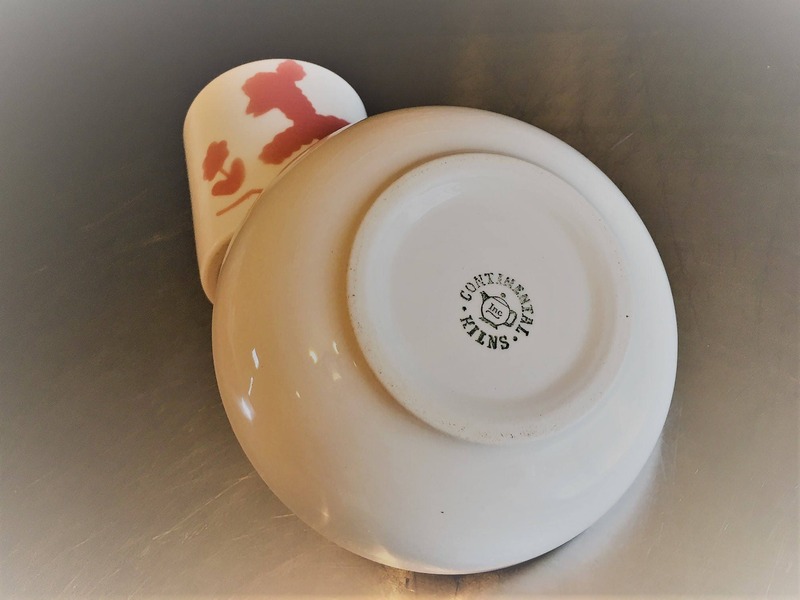 The cup is 3 inches tall and 3 inches in diameter at the rim. The bowl is 6 inches in diameter and about 2 inches deep. 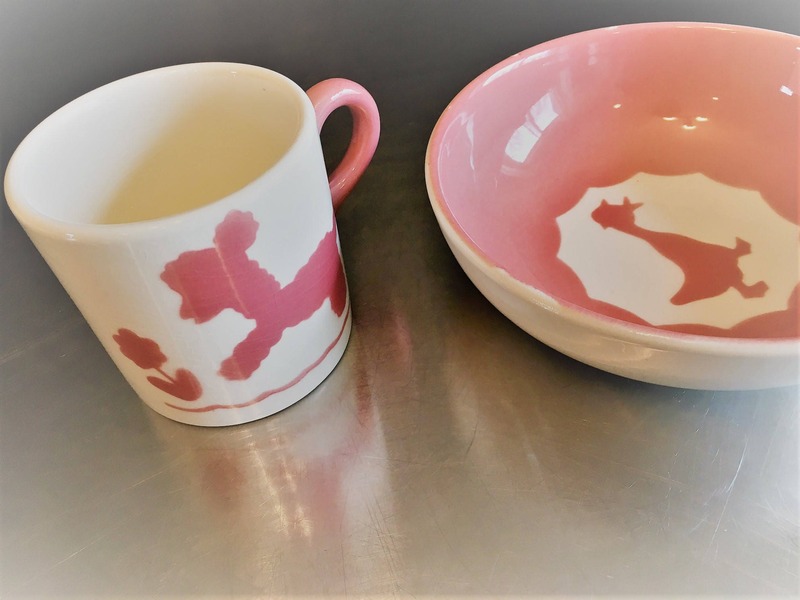 Continental Kilns was established in the mid-1940s in Chester, WV -- the "Pottery Capitol" of the upper Ohio River Valley, where a number of major dinnerware operations flourished, including Hall China and Homer Laughlin. The company went out of business around 1957. This set would make a sweet baby shower gift and would be great in a nursery.